Includes full breakfast daily at Maitai Lapita Village Huahine only. 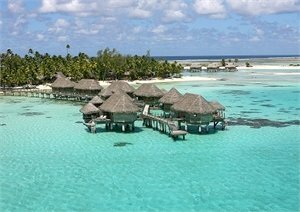 Le Maitai Rangiroa is located on the lagoon between the passes of Avatoru and Tiputa. This hotel has been renovated, and offers excellent French Polynesia accommodation at a great value, welcoming hospitality, great facilities, a multitude of activities including a swimming pool and much more. 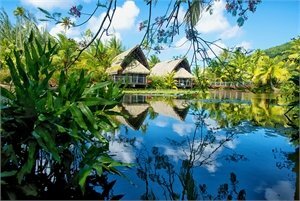 Includes full breakfast at Le Maitai Rangiroa only. Located between two passes on the Northwest coast of Rangiroa, the crystal blue lagoon and the traditional hospitality are assets that make the Hotel Kia Ora Resort & Spa an exceptional hotel. Completely renovated in 2011, 60 Bungalows are positioned along the coral ring of the atoll. 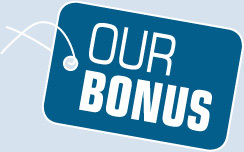 Includes full breakfast daily at Hotel Kia Ora Resort & Spa only. Arriving at the Tikehau Pearl Beach Resort after a short boat ride from the airport, it’s easy to see why this is one of the most beautiful atolls in Polynesia. The palm-fringed, pink sandy beaches are extraordinary and the air is filled with the fragrance the fragrance of flowers and fruit trees. Includes full breakfast at Tikehau Pearl Beach Resort only. Positioned on a gorgeous motu, near the outer edge of Taha’a’s pristine lagoon, this resort carries the prestigious ‘Relais and Chateaux’ label. On arrival you will be struck by the commanding views of Bora Bora on the skyline. The main public areas are built into the trees on the atoll islet. Includes full breakfast daily in Le Taha’a & Papeete.